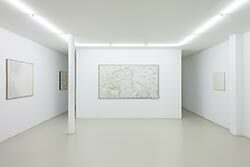 News : French artist Claude Bellegarde's exhibitions and publications. Born in 1927, Claude Bellegarde has created within the panorama of art in France since the 1950s an important, singular and audacious body of work. It is Pierre Cabanne who introduced Claude Bellegarde to Guillaume Sébastien. The historian and art critic supported the work of the artist and defended it with passion. A large painting of Bellegarde figured in the exhibition Hommage Pierre Cabanne organized after his disappearance by the Galerie in 2009. Jousse Entreprise Gallery is pleased to present the exhibition Bellegarde, Farbenlehre as a tribute to Goethe's Theory of Colours. With La Ligne Bleu/The Blue Line a spiritual and carnal celebration, in which the unity of what one feels and which is felt physically hallmarks Bellegarde's White Period. 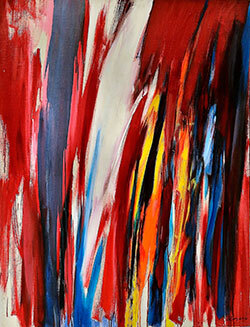 This painting ushered in a new period, Cabine Psycolor, an emotional mirror, created in New York in 1964. Under the influence of Pierre Restany, the Guggenheim Museum acquired one of these works. 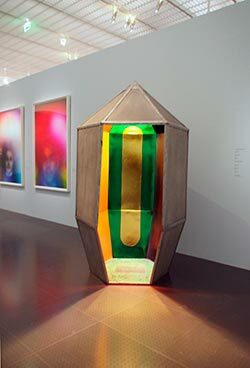 The Cabine Psycolor was shown fifty years later, at the Mudam in Luxembourg in the Tomorrow Now exhibition in 2015 and at the Centre Pompidou Metz, in the exhibition Cosa Mentale. 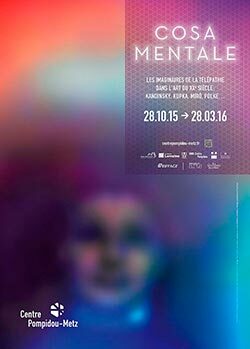 Cosa Mentale invites the spectator to re-live one of the unexpected adventures of modernity: telepathic art in the 20th century. This exhibition traces a chronological path from symbolism to conceptual art with some hundred works of important modern and contempory artists, among them, Claude Bellegarde's Psycolor Cabin created in New-York in 1964. Claude Bellegarde, considered a forerunner of monochromatic white paintings in the early 1950's, opened the way for other painters such as the Italian Piero Manzoni and the American Robert Ryman. Dedicated to the great Lebanese poet Salah Stétié this exhibition presents the poet's manuscripts with works by artists who collaborated on these publications and videos. The Maca exhibition includes works by contemporary artists from the French as well as international art scene. For the exhibition Autour de Pierre Cabanne, Guillaume Sébastien gathers works from more than thirty artists associated with the critic, some renowned: Arman, César, Marcel Duchamp , others less well-known but whose work he promoted with equal enthusiasm: Claude Bellegarde, Paul Guiramand, José Subira-Puig, Michel Tourlière… Each work is accompanied by an enlightening text by Pierre Cabanne. Artists support Action against Hunger by donating works (paintings on porcelain plates) for auction. Proceeds go to Action Contre la Faim (ACF), an international relief and development organization. Christine Albanel, Minister of Culture and Communications, presents Assisis. Brainchild of Philippe Delaunay president of the association Vol d'oiseau du cercle, the exhibition which brings together artists from a range of backgrounds, featuring works using a simple wooden chair. Riff Art Projects Gallery presents the exhibition: Claude Bellegarde: Entre «Société de Consommation» (1970) et «Gris de Couleurs» (2007). 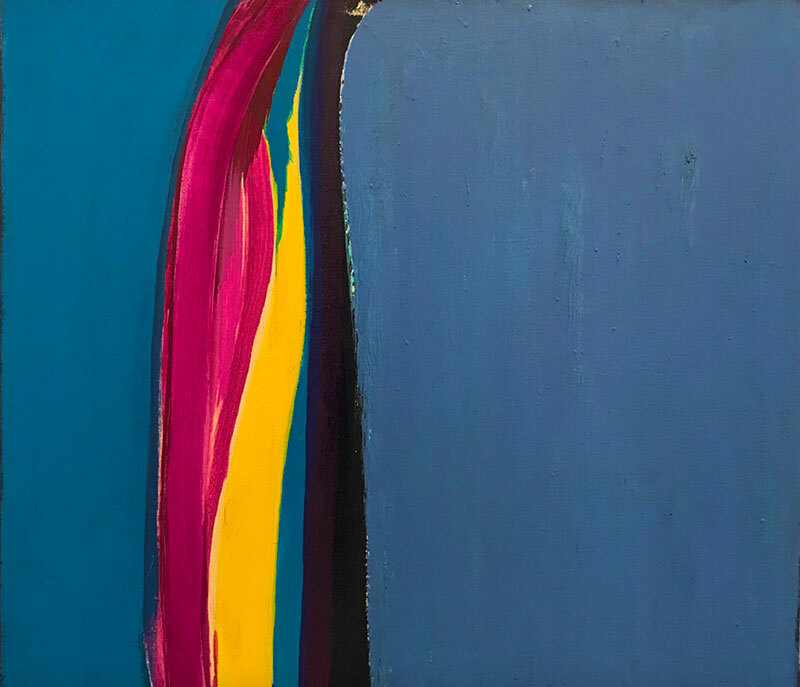 Galerie 53 presents a selection of works from 1965 through 1968. Galerie 14 presents a selection of the artist's paintings. 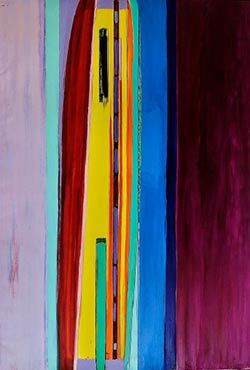 Galerie Rê located in Marrakesh, Morocco presents 19 contemporary painters (12 Moroccans, 1 Algerian and 6 French) . La Manufacture Nationale des Gobelins presents Les Gobelins 1607-2007, Trésors dévoilés - Quatre siècles de création, tapisseries, tapis, mobilier. The second of a three-part exhibition, Créations Actuelles 1997-2007 includes more than twenty contemporary tapestries signed by artists such as Alechinsky, Bellegarde, Othoniel, Portzamparc, Crasset. Castelbasso Progetto Cultura in collaboration with Museo d'Arte Contemporanea di Lissone presents contemporary European and American works by :Karel Appel, Enrico Baj, Afro Basadella, Claude Bellegarde, Luigi Boille, Brüning, Alberto Burri, Giuseppe Capogrossi, Roberto Crippa, Mario De Luigi, Gianni Dova, Jean Dubuffet, Jean Fautrier, Lucio Fontana, Sam Francis, Pinot Gallizio, Hans Hartung, Asger Jorn, Franz Kline, Piero Manzoni, Conrad Marca-Relli, Georges Mathieu, Henri Michaux, Mattia Moreni, Ennio Morlotti, Alberto Novelli, Achille Pace, Achille Perilli, Jackson Pollock, Jean Paul Riopelle, Sergio Romiti, Antonino Ruggeri, Antonio Sanfilippo, Giuseppe Santomaso, Emilio Scanavino, Gregor Schneider, Emil Schumacher, Toti Scialoja, Pierre Soulages, Pierre Tal-Coat, Antoni Tàpies, Mark Tobey, Giulio Turcato, Cy Twombly, Emilio Vedova, Nachlass Wols. Curator: Silvia Pegoraro. The exhibition includes several of Bellegarde's paintings, notably The Inferno,1990 from the Marine and Volcanic period. Prototypes, artistic projects and furniture : Roger Tallon and Claude Bellegarde. Galerie Jousse Entreprise, Paris. april - may, 2007. All rights reserved © 2007-2019 Claude Bellegarde.